Amazon.com Price: $22.70 (as of 2019-04-22 02:34:29 GMT) Product prices and availability are accurate as of the date/time indicated and are subject to change. Any price and availability information displayed on Amazon.com at the time of purchase will apply to the purchase of this product. 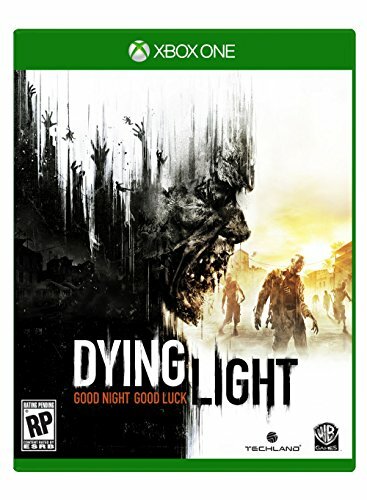 Dying Light is a first person, action survival horror game set in a vast and dangerous open world. During the day, players traverse an expansive urban environment overrun by a vicious outbreak, scavenging the world for supplies and crafting weapons to defend against the growing infected population. At night, the hunter becomes the hunted, as the infected become aggressive and more dangerous. Most frightening are the predators which only appear after sundown. Players must use everything in their power to survive until the morning’s first light. Good Night. Good Luck.